Pilots are required to get NOTAM(NOTice for AirMen) before the flight, but it is sometimes difficult to understand because of a lot of abbreviations and strange words. 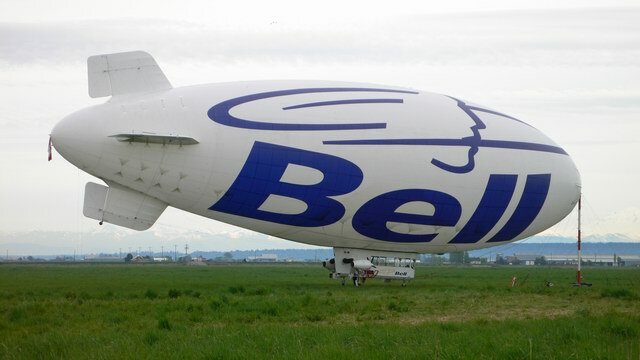 When I was preparing for the night flight, I found this code in the NOTAM - "CZBB TETHERED BLIMP 490456N 1230006W (APRX 1200 FT BFR THR 25 AND 1600 FT RIGHT EXTENDED RWY CL) SFC TO 200 FT AGL 207 MSL. LGTD 0604290030 TIL 0605011700" I didn't know both the words, "tethered" and "blimp." As I didn't have a dictionary, I asked a Syrian instructor. Though he didn't know the former word, he knew the latter one. "Blimp is a balloon" he answered and I understood what the NOTAM meant. As I had a spare time before the flight, I drove to the exact point located on the NOTAM and took this picture. As you might know, this is a so called "tethered blimp." What a coicidence. When I was in my room looking out through the window, I sw the Blimp flying across my rooftop. It's kind of funny because I don't find it effect to fly a blimp around our neighborhood. It's just advertisement. I would expect it to fly around Downtown? Why does this have to be the ONLY rielable source? Oh well, gj!